I don't think I'll ever write a more random title than that, but it's absolutely appropriate! 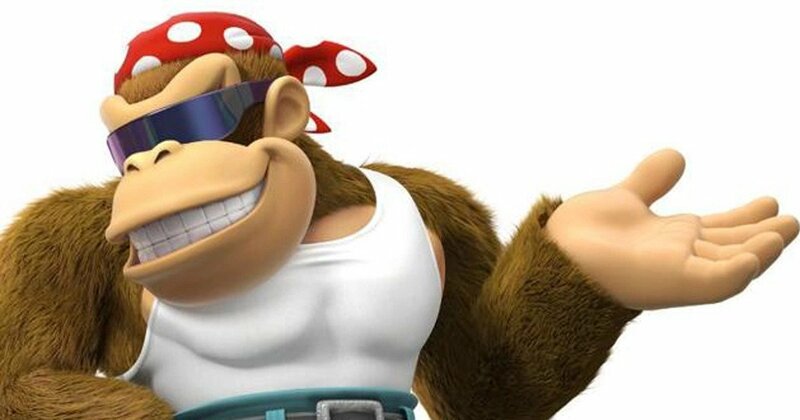 The latest episode of Game Grumps sees Jamie Lee Curtis and her son Tom join the grumps for some Super Mario Party action. If you want to see who comes out the victor, you'll just have to watch! 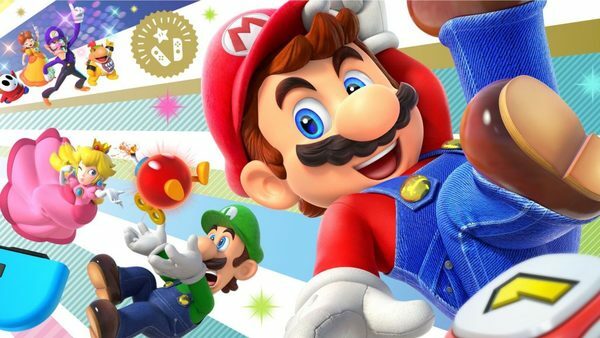 As far as we can tell, Super Mario Party has gotten its first update. This brings the game up to Version 1.0.1. You can find the official patch notes below. - Fixed an issue with Online Mariothon in which ranking data was not displaying properly. A lot of people have wondered why Super Mario Party didn't get any DLC. Be it new game boards, modes, or mini-games, the entry seems ripe for DLC efforts. That's why it's surprising to see that Nintendo hasn't even made mention of DLC plans for the game. 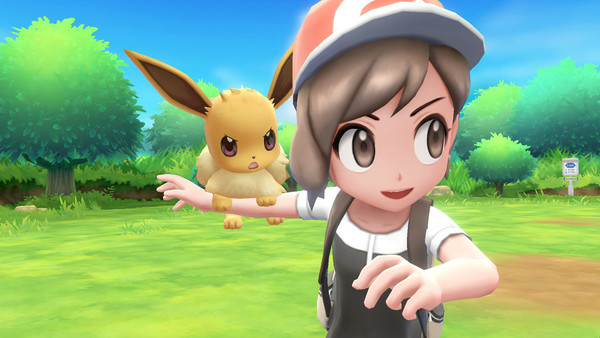 While we wait for anything from Nintendo on that front, some fans in Japan are thinking content is in the works. 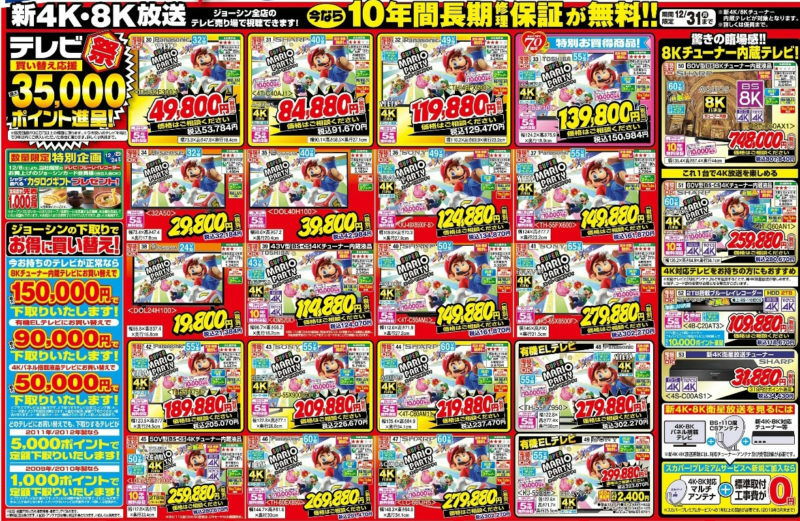 Multiple Japanese Switch fans have noticed a big increase in Super Mario Party marketing lately. Not only does that include online adverts across social media and more, it also includes new efforts in-store. 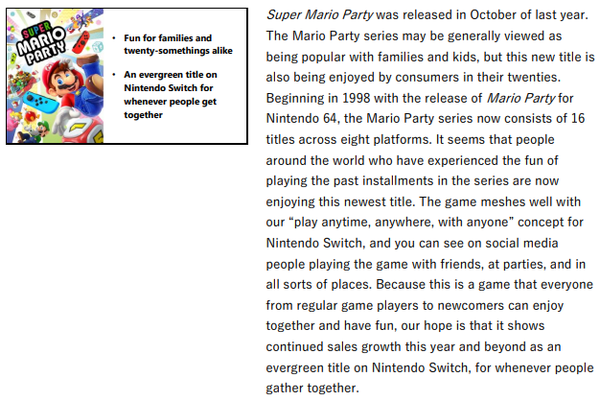 Some retailers are even putting together new sections/displays for Super Mario Party. 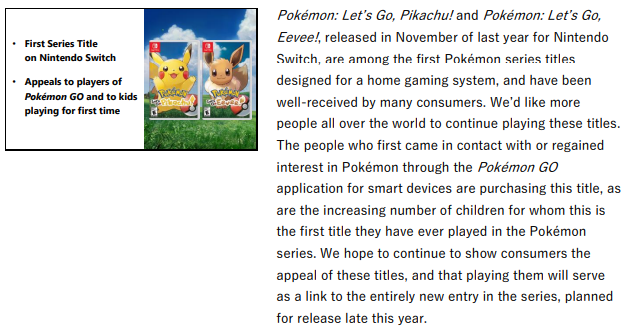 We know Nintendo likes their longtail sellers, but these marketing efforts seem like they have more of a purpose behind them. I guess we'll just have to cross our fingers and hang tight! 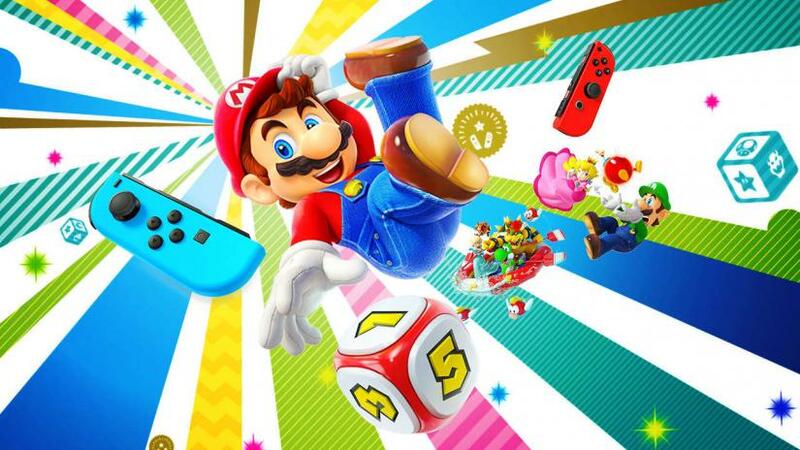 Joshin has been featuring a lot of Nintendo content lately in their fliers and brochures, and that trend continues with their latest advert. 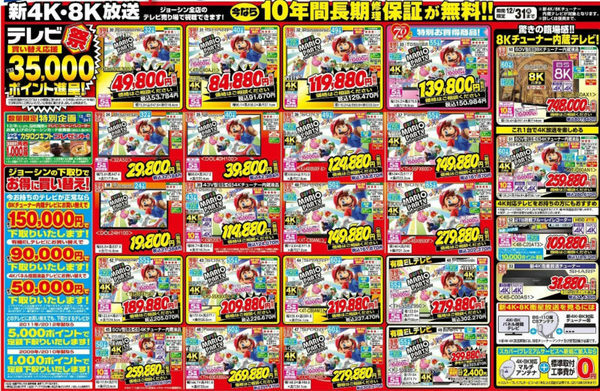 The electronics retailer is trying to move some TVs, and they figured the best way to do so was to plaster Super Mario Party all over them! Who wouldn't want the pairing of Super Mario Party and a new TV?! Time to check in again on the monthly sales awards for games in Germany. The following titles hit milestones in Nov. 2018.